F. Scott Fitzgerald’s second novel, which brilliantly satirizes a doomed and glamorous marriage, anticipated the master stroke—The Great Gatsby—that would follow, and marks a key moment in the writer’s career. Would-be Jazz Age aristocrats Anthony and Gloria Patch embody the corrupt high society of 1920s New York: they are beautiful, shallow, pleasure-seeking, and vain. As presumptive heirs to a large fortune, they begin their married life by living well beyond their means. Their days are marked by endless drinking, dancing, luxury, and play. But when the expected inheritance is withheld, their lives become consumed with the pursuit of wealth, and their alliance begins to fall apart. 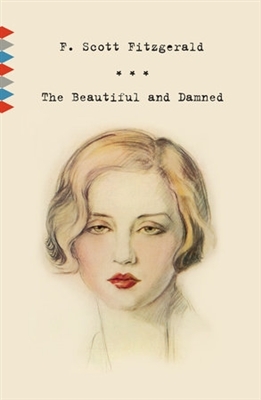 Inspired in part by Fitzgerald’s own tumultuous union with his wife Zelda, hauntingly rendered and keenly observed, these characters evoke a vivid portrait of a lost world: a city steeped in vice, a society without direction, and the rootless and decadent generation that inhabited it.